Hampstead JLGB has re-launched at the Hampstead Synagogue this March! Building on last year’s amazing activities, trips and experiences for our members, we’re back with a jam packed programme for 2015! JLGB is the UK’s longest running Jewish youth group, which believes in providing positive activities for Jewish youth. We have groups all over the country, from Glasgow to Manchester, Liverpool, London and Cardiff! 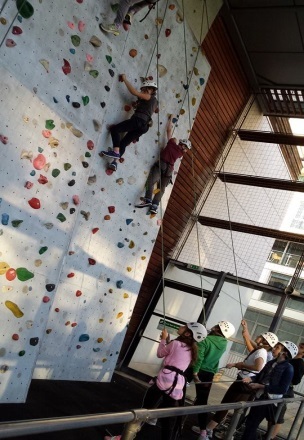 We re-launched this year with a spectacular programme of Pesach themed activities, including “Make your own Seder Plate” and a session discussing what it means to be free, as well as playing sports and team building games! We’ve got a programme full of interesting and exciting activities for the Spring/Summer term including; A Mock Election, Retro Games, A Japanese themed evening, and a Sports Challenge! We’ll also be getting together with other groups for events as part of JLGB’s national network! We’ve also got some trips out planned! 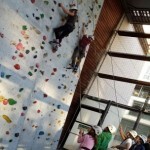 Previous trips include Bowling, and Rock Climbing. Want to join us? Get in touch. Hampstead JLGB is running on Tuesday nights until the 30th of June! New members are ALWAYS welcome to join us! Although we are based at the Hampstead Synagogue, we welcome others from shuls in the surrounding area. Our International Summer camp runs from 2nd to the 9th of August 2015! Meet people from all over the UK and Israel!